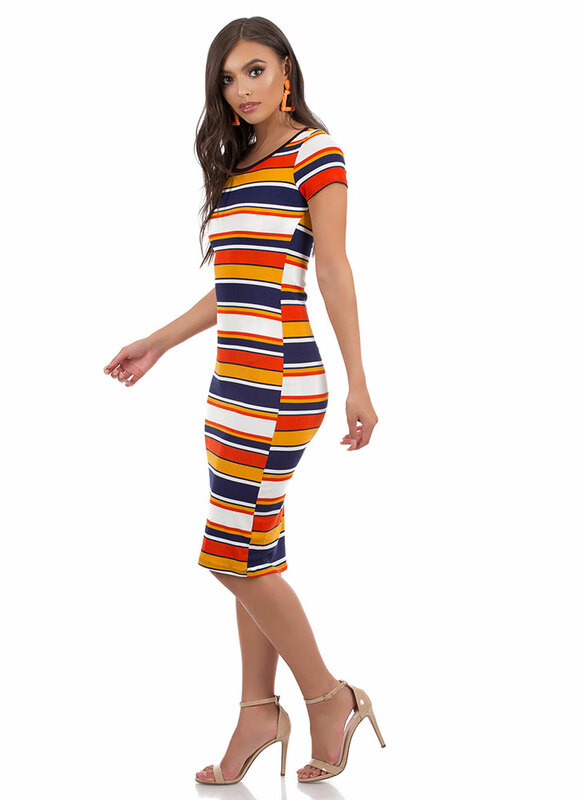 Sometimes you just gotta have something striped... Stretchy, short-sleeved, rib knit midi dress features an allover multi-colored striped print of horizontal lines and panels. No closures are included. Pattern placement may vary.